22.8-acre lot 84 BR with dimensions 676 x 1471 feet is located in the southwest section of Buffalo Ridge community. 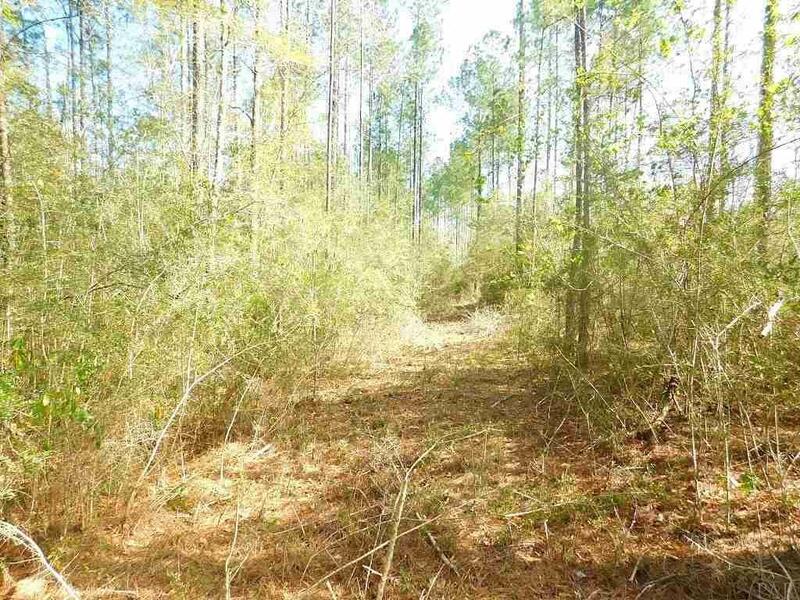 This property is situated between other large parcels, 19-acre lot 83 BR and 25.2 lot 85 BR. 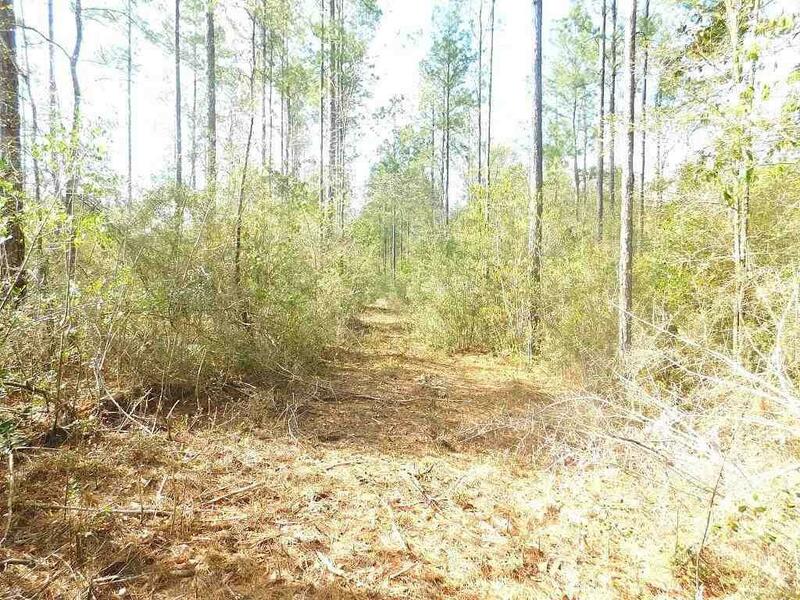 Lot 84 BR has over 800 feet between northeast and southwest property lines. This will provide future owners with enough space to build their home and take advantage of the unique privacy this property offers. 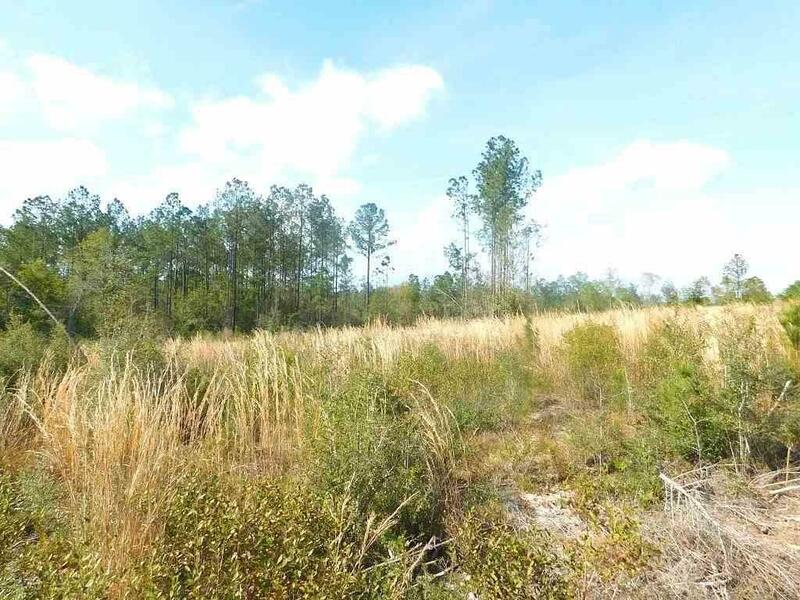 Be ready to own forest trails, grassy meadows, oak trees and pine trees stretching across this beautiful homesite. Out of more than 100 Buffalo Ridge lots, there are only 5 lots over 20 acres. Parcel 84 BR is one of them. Schedule your showing today. This lot is a must-see! Buffalo Ridge is a new community located only minutes away from the convenience of Pace shopping and restaurants. 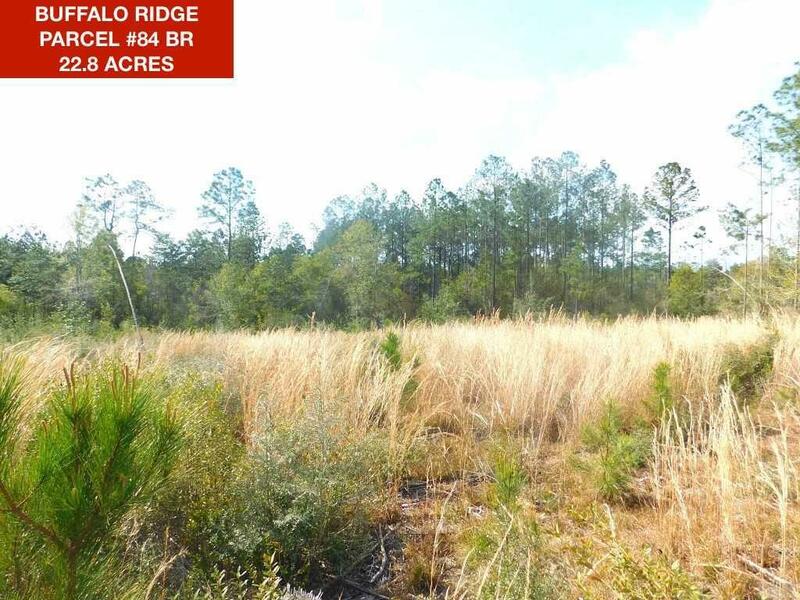 Situated on one of the highest points in Santa Rosa County, Buffalo Ridge provides twenty-mile views. The community will have paved and curved roads, AT&T fiber optic and an HOA for the maintenance of the paved private road. Buffalo Ridge is designed to be a responsible residential development preserving West Florida natural beauty and wildlife. Buffalo Ridge offers privacy with convenience and provides stunning sunset views from its high elevation. Enjoy rolling hills, flowing creeks and flat plateaus. This development is situated aboutan hour away from The Gulf of Mexico including popular beach resort communities such as Pensacola Beach and Perdido Key.